SEOUL, Feb. 12 (Yonhap) -- South Korea's foreign ministry said Tuesday that National Assembly Speaker Moon Hee-sang's recent remarks on the issue of Japan's wartime sexual enslavement of Korean women were intended to underscore the need for the neighboring country's "sincere attitude" in addressing the long-simmering issue. During a parliamentary session Tuesday, Japan's Prime Minister Shinzo Abe called Moon's remarks "extremely inappropriate." The Tokyo government has also asked him to retract his words and apologize. 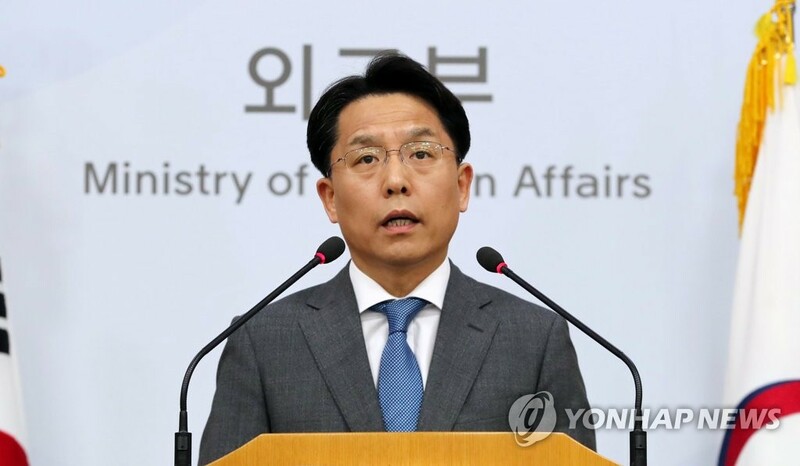 "We have interpreted (Moon's) remarks as meant to highlight the need for Japan to show a sincere attitude based on a victim-oriented approach to restore the honor and respect of the victims and heal their scars," Noh Kyu-duk, the spokesman for the ministry, told a regular press briefing. But he added that South Korea will continue efforts to nurture a "future-oriented" relationship with Japan while seeking a wise solution to the issue. Historians say as many as 200,000 Asian women, mostly Korean, were forcibly sent to front-line brothels from 1939-1945 to provide sexual services for Japanese soldiers. Japan colonized the Korean Peninsula from 1910-45. Tensions between the two neighbors have intensified in recent months due to military spats and a set of long-standing historical issues stemming from Japan's occupation of the peninsula.